Want to see what life-giving faith looks like? A daily devotional based on Brian McLaren's book We Make the Road by Walking - an inspiring journey through the Bible. In his 2014 book We Make the Road by Walking Brian McLaren gave a basic orientation on what it means to be 'a new kind of Christian' through 52 sermons, working within the framework of the church year and providing a Genesis-Revelation overview of the Bible. It was designed to be used in church services and small groups, and was praised by New Testament scholar Paula Gooder and enthusiastically adopted by many. Seeking Aliveness is a repurposing of this material for use by individuals, breaking up the text into daily devotions, along with the original suggested Bible readings and with a prayer, thought or action point for each day. Brian's original writing is transformed beautifully into a daily read, for admirers of the original book as well as a new audience. 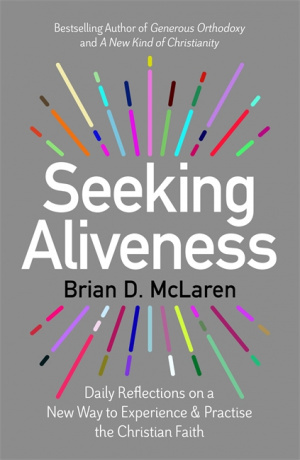 Seeking Aliveness by Brian D. McLaren was published by Hodder & Stoughton General Division in October 2017 and is our 5055th best seller. 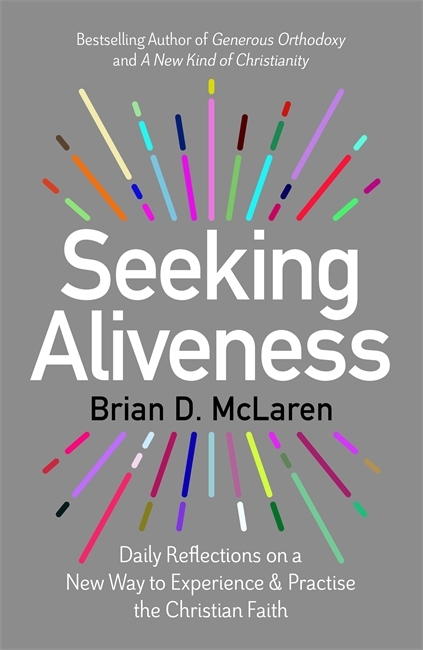 The ISBN for Seeking Aliveness is 9781473671416. Be the first to review Seeking Aliveness! Got a question? No problem! Just click here to ask us about Seeking Aliveness.